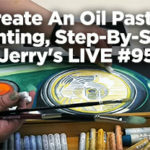 Find Everything on your shopping list at Jerry’s! Having trouble searching for the artist in your life this holiday season? Why not get them pastels? Pastels are often mistaken for crayons, but don’t let their looks fool you, they offer much more bright color and can provide dazzling effects for your art like blending and layering.Pastels are heavily pigmented and soft so they spread onto paper like butter. 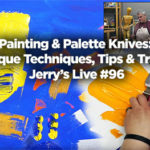 If the artist you’re shopping for is looking for pastels or wants to try them out for the first time, Jerry’s has the right products for anyone, beginner to experienced pro! 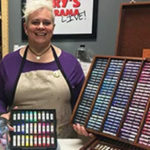 If you’ve ever thought about how to get the most use out of your pastels, you may want to check out Charvin’s Water Soluble Pastel Painting Sticks. These multipurpose semi-hard pastels are usable wet or dry. They can be used for drawing or painting. 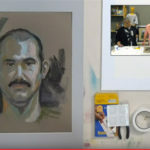 Dip the pastel in water to create smooth, saturated lines, sketch on pre-wetted paper for soft color lay down or draw dry and wash over with water for smooth blending effects. The possibilities are endless with these pastels. Charvin Water Soluble Pastel Painting Sticks are made with master quality from highly concentrated, lightfast pigments. Create painterly effects while retaining line work. These pastels are perfect for drawing and painting in the studio and on the road and are some of the most versatile pastels on the market today! Mungyo Gallery Soft Pastels and Pastel sets are the perfect accessories for the artist on the go. With many sets to choose from, Mungyo Gallery Soft Pastels are deluxe handmade and hand-rolled artist’s soft pastels. They have a super soft, smooth and buttery consistency and brilliant color. These pastels are made using only the finest pigments and kaolin clay and can be used to work into oil paintings or stand alone. They are great for blending and mixing too! Available in 200 different colors or a variety of sets, Mungyo Gallery Soft Pastels make the perfect gifts. THere are themed sets like the Woodbox Set of 100 Landscape colors making it the perfect set for Plein Air and outdoor drawing. If you happen to be looking for a higher quality paper to draw on to capture the full potential of your pastels, try UART Premium Sanded Pastel Paper. Designed for the artist that seeks quality and consistency in their painting surface. UART Premium Sanded Pastel Paper is acid free and pH neutral and accepts underpainting using a wide variety of media such as water, oil, mineral spirits, turpenoid and alcohol. This premium pastel paper is available in multiple grades of tooth and various resistances and is an excellent surface for holding down layer upon layer of pastel color. If you’d like to learn more about pastels and whats available during our holiday sale, don’t waste another second and head over to our Holiday Gift Guidefor more ideas on what to get the artist on your holiday shopping list! Happy Holidays!